Choose the best outfit for the job. If you are an insurer, tax expert or even a responsible person and you work in an office, you do not have to wear any special clothing, but you have certainly, according to your choices and with the concern for comfort, adopted the best clothes. Tailor-made products allow you to reach a new level in the comfort, seriousness and importance you attach to your profession. 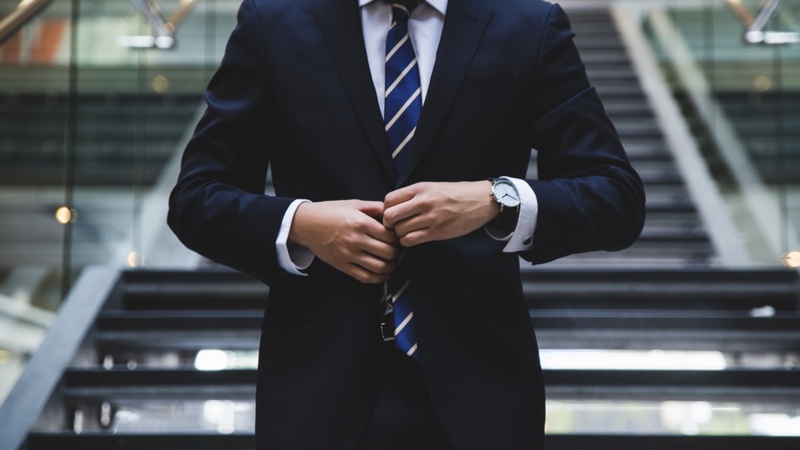 If you are starting a new job, you will go through the interview box, here is how a tailor-made job interview suit made by Careli in Brussels can help you. A custom-made navy blue suit, blue is a colour widely used in finance and business, it is a colour that inspires azure, horizon and abundance. A white custom-made shirt, why custom-made? It is important to make a good first impression, but it is equally important to be comfortable during your job interview, this way you are able to create a relationship of trust with your interlocutor. A custom-made shirt will give you comfort and confidence. A plain burgundy tie, it will bring the necessary touch of seriousness without doing too much, in order to match your character as well as possible. A pair of black shoes with black socks. Quality shoes, neutral and sober, will bring you in stature. Finally, a classic custom-made coat will finish indicating that you are making a significant contribution to your budget, which is a guarantee of seriousness for a job interview. You are hired! And you notice that your colleagues have a “formal” style, also adopt this style, it is not a question of being too serious, it is precisely here that the tailor-made suit finds all its importance ! What makes a custom suit special is the choice of fabrics, colours, but above all: the size and cuts. Adopt a formal look by giving style to your clothing and function by having tailored clothing with cuts that allow you to be comfortable and relaxed when you need it. You were also hired for the style you sent back, it is in this that all the strength of the tailor-made takes flight. Being properly dressed will allow you to evolve without hindrance in your profession and the tailor-made will allow you to be honest about your style, your character and your taste for elegance. In addition, you are sure to make a sensation during the coffee break, the colour and quality of the fabrics of your clothes, will make you the focus of discussions, maybe you will also give advice to your boss! Moreover, please note our e-mail address: info@careli or our telephone number: 32 479 396 489, in order to make an express appointment in our workshop in case of special professional occasions.